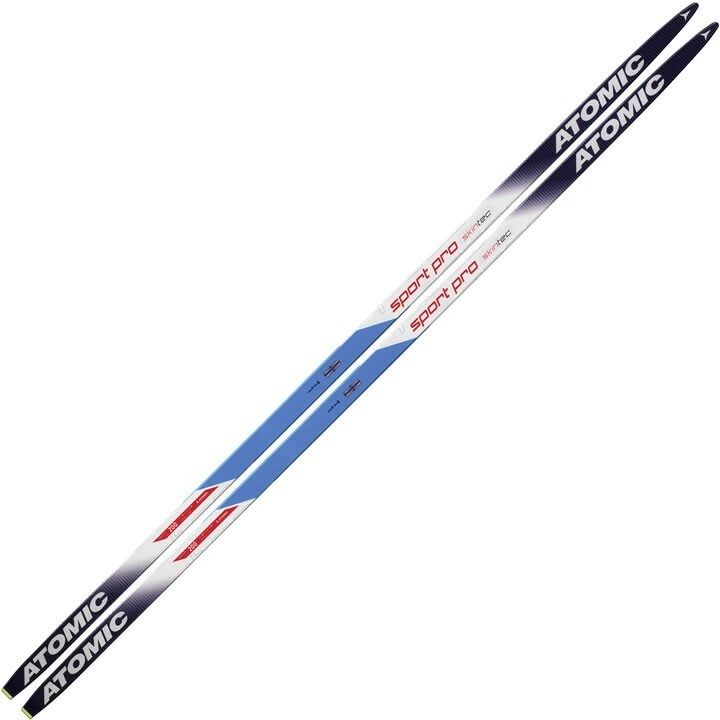 Waxless, easy to handle and forgiving, the Atomic Sport Pro Skintec is for athletic cross-country skiers who want to make the best use of their limited free time. Slightly more forgiving than Redster Skintec but still really fast. They features Atomic's unique Skintec waxless technology that cuts prep time dramatically as you don't need to kick-wax, while you still get the feel of a perfectly waxed ski in all conditions. In case of extra heavy wear, the skin is easily replaceable. The Sport Pro Skintec uses Atomic's SDS construction with Carbon Laminates and a World Cup base and grinding for a perfect kick and glide which are all ideal for regular workouts all winter through! Light, stable and tough. Densolite is produced in Atomic's own facilities and comes in three variations: Densolite, High Densolite and Ultra High Densolite. They're all equally tough, but the High and Ultra High versions are lighter and more dynamic. Skintec: Atomic's high-performance waxless technology, with Mohair skin grip zones. All Atomic skis have high-quality bases. These are fast on every snow, can stand up to everything and are easy to maintain.